The essays in this volume explore the special type of policies that were needed in the post-socialist countries of Eastern Europe and the former Soviet Union in order to reduce inflation and to stop the fall in output that followed the collapse of Communism. 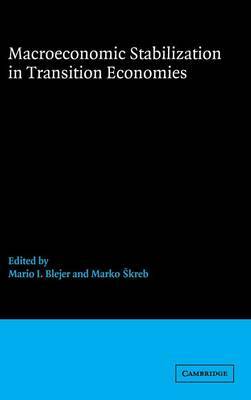 The book contains a number of general studies that discuss the type of reforms needed and how they condition policies and analyse the aggregate relationship between reducing inflation, implementing structural reforms, and renewing the process of growth. It includes a number of country studies (on the Baltics, Croatia, Hungary, Poland, Slovenia and the Ukraine) about their stabilization experiences. Thus the emerging picture is one of renewal of growth in those countries that proceeded early and with the determination to implement market-oriented reforms and to stabilize their macroeconomy, and of gradual and slow stabilization of output in those countries that entered the process only very recently.